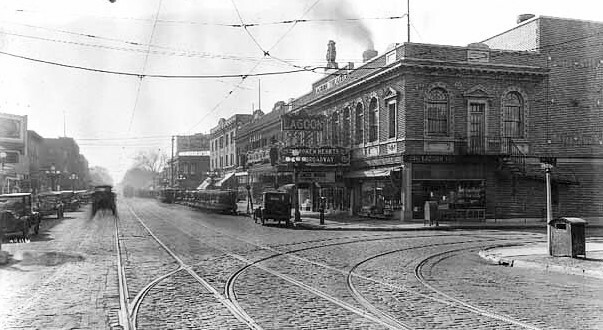 Originally called The Lagoon when it opened in 1916, The Uptown has always been a neighborhood movie theater, which sets it apart from most Twin Cities theaters. Its original architects, Buechner and Orth, designed it in the neoclassical style (see images 1 and 2). They also designed the Orpheum (originally the New Palace) in St. Paul, another neoclassical theater. The Lagoon’s original façade contributed a dash of high style to the otherwise more mundane Hennepin-Lake area. Like downtown theaters, it could boast of a modern air cooling system, seating for 1,500 people, elegant decorations, and a small ballroom above the foyer. In its early days, The Lagoon was known for its children’s club, a promotional idea that many neighborhood theaters used. About 2,000 children were “members” of the Lagoon club. Each child received a button with a unique number on it; children whose numbers were drawn from a hat won prizes. Theater manager Bob Brose also led the kids in three cheers for The Lagoon, three cheers for owners Finkelstein and Ruben, and three cheers for Bob Brose! 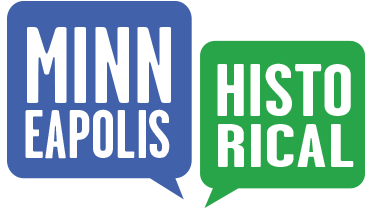 By the end of the 1920s, Finkelstein and Ruben owned 120 theaters in 27 Upper Midwest cities. 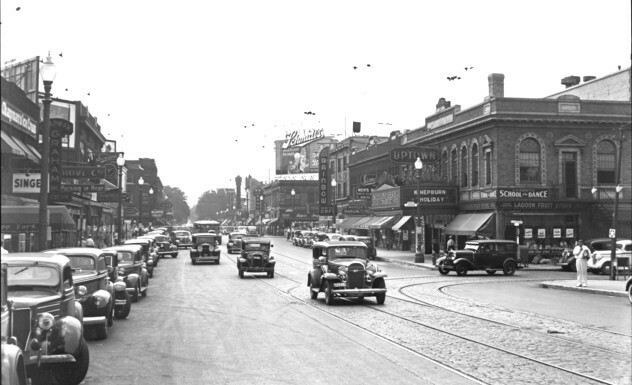 The Lagoon became The Uptown in 1929 when area businesses rebranded the Hennepin-Lake commercial area as Uptown. 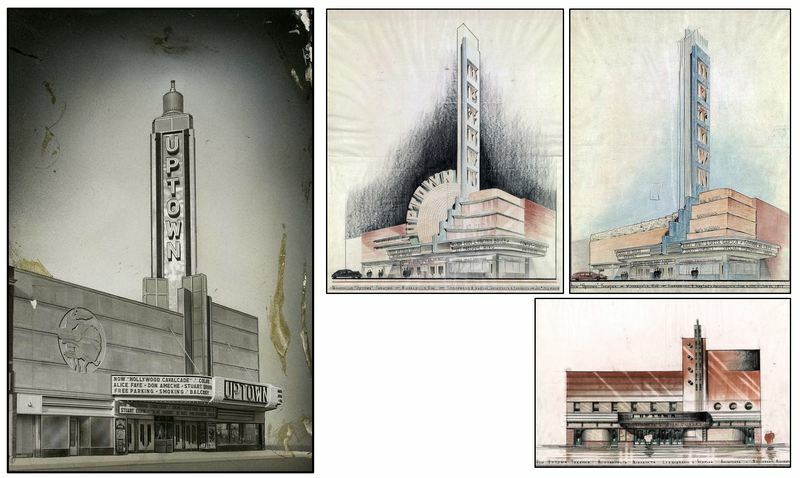 After a 1939 fire burned much of the original structure, the architectural firm of Liebenberg and Kaplan, specialists in theater design, remodeled the Uptown to its current streamlined moderne style. The roof-mounted three-sided tower sign was the first of its type in the US. The trapezoidal marquee was designed to be read from passing automobiles. Liebenberg and Kaplan integrated the new streamlined moderne front façade with the original neoclassical facades on the north, west, and south-facing walls. The Uptown’s interior has been remodeled many times. A 1990 restoration revived Art Deco and neoclassical elements in the lobby and recreated the look of Liebenberg and Kaplan’s murals that originally were carved in low relief into Celotex sound proofing material. A 2012 renovation further restored the auditorium murals. One mural depicts early explorers gazing upon the future Minneapolis. Another shows a giant Father of the Waters presiding over a group of water sprites, who symbolize the Chain of Lakes. The 2012 rehab also brought back upscale touches from earlier days, including reserved seating and ushers, the 1939 upstairs bar, and the Art Deco waiting area. Other 2012 updates included a reduction in seating from 900 to 350 with installation of new upholstered seats and a digital projector. 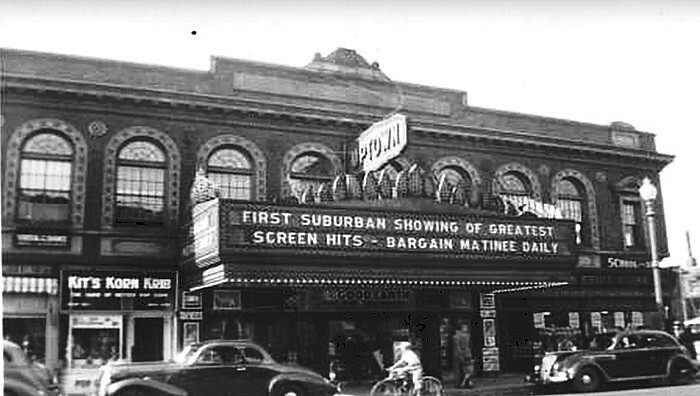 Edited by Richard L. Kronick, “Uptown Theater (formerly The Lagoon),” Minneapolis Historical, accessed April 22, 2019, http://minneapolishistorical.org/items/show/136.